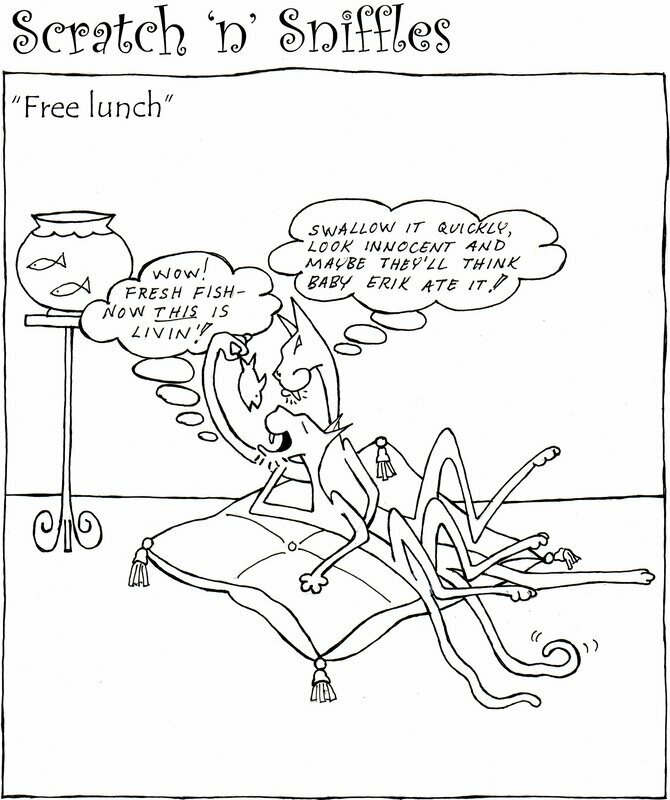 The cat's PJs features cool illustrations, goofy cartoons, and other interesting stuff. Be sure to check back for updates, 'cause you'll never know what you're going to find in the Cat's Pajamas! This year, "Astro" (it's actually, sort of her real name! ), a gifted high-school art student from the Idaho Fine Arts Academy, Eagle, asked me to mentor her in the creation of a web comic. We've been discussing the art of telling a GOOD story, and how to translate that story to graphics. She hopes to have about 20 pages finished by mid-May. It's been great fun--I've learned a lot about the art of multi-panel webcomics!! Keep up the good work, Astro--I look forward to reading your graphic novel! Whoa! Cheddar Jack, the cat who just LOVES cheese, is famous--he has his own kind of cheese now! Don't let Jack know or there won't be any cheese left in the store for anyone else to enjoy! A rough idea for a cover design for a nasty, brutish, and short little novella I'm working on. Hmmm, wonder what that story is about...? 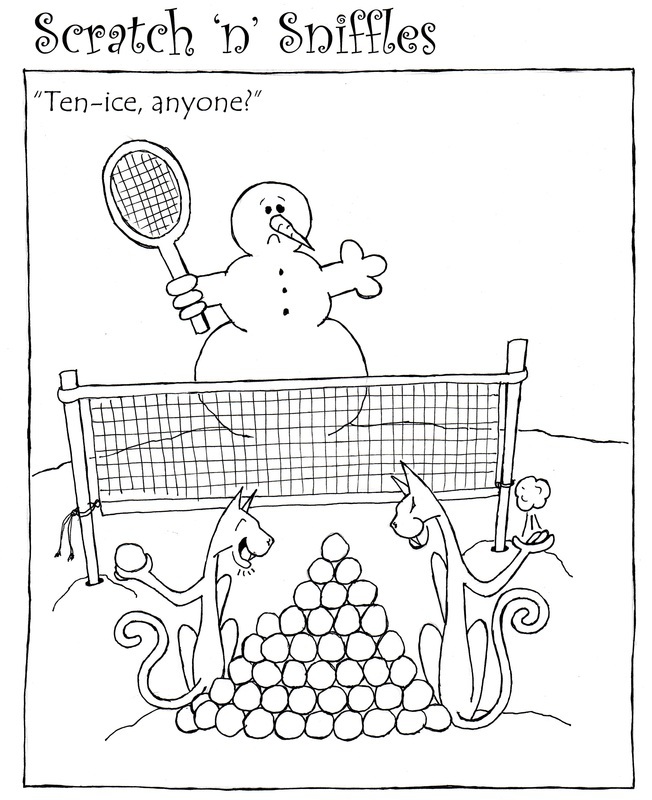 Are the holidays coming around too quickly for you? 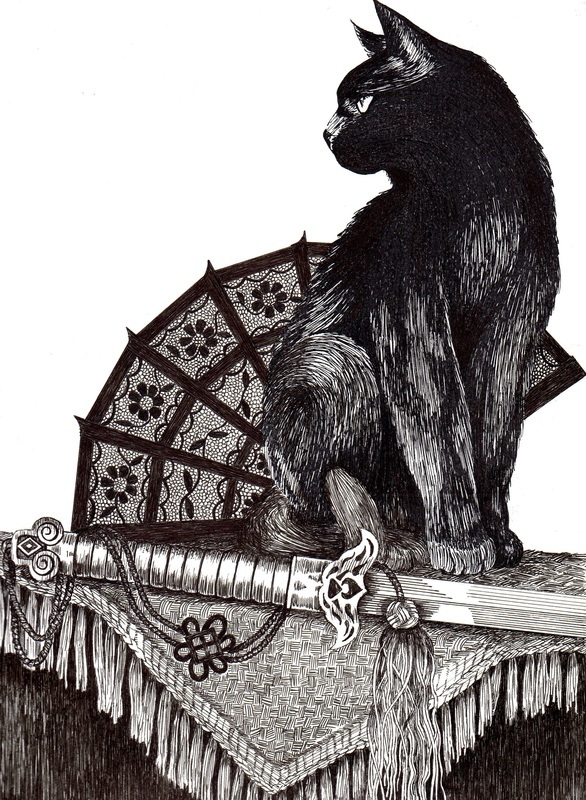 Here's the pen and ink illustration K. L. Dougall created for the cover of my new book The Nine Lives of Shaidu the Warrior Cat. 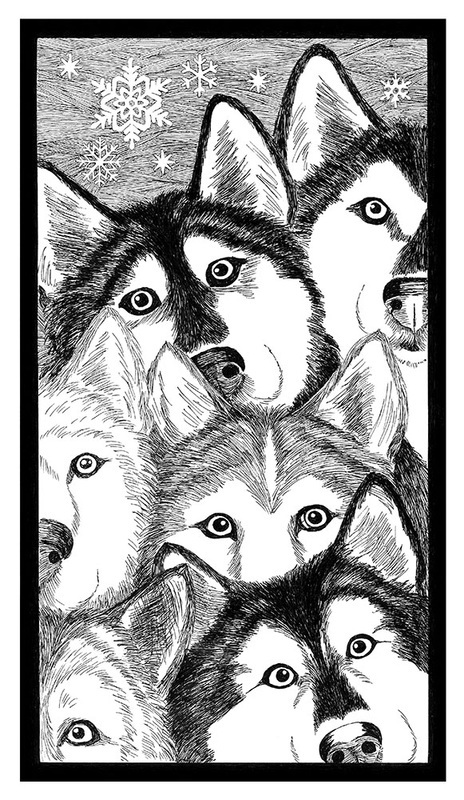 Just for the Iditarod, here's a new illustration entitled "Iditarod Rogues" by K. L. Dougall.